Unfortunately, this set has been discontinued. 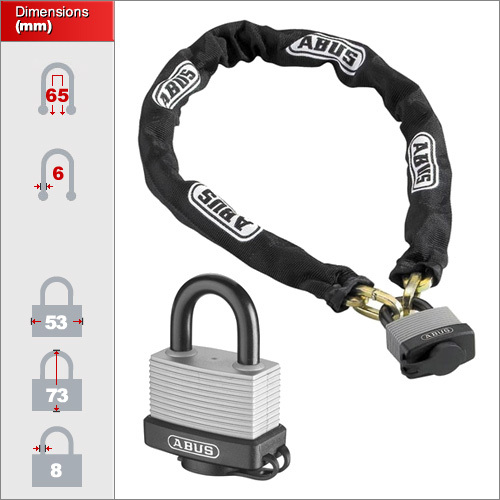 Please click on this link for our chains and here for the weatherproof padlocks. If you require multiple padlocks to work from the same key, this system can now do that by selecting the Keyed Alike option on the pop up screen. The plastic coat affords this additional protection to the weather where it may be left for extended periods of time in the rain. 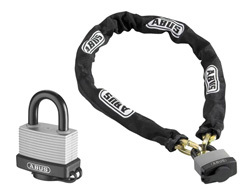 Ideal and popular for securing farm gates where the padlock and chain may be left for a long time without being used. Also highly popular with cyclists.